First off, big thanks to Justin for making the first few hours of our trip to Denver worth it for that alone. Not only did he greet us with a sign that made us realize we were in for serious design business all week, but he got us started off with a session of Street Fighter on the PS3 before lunch. Faces were kicked. After lunch, it was off to the conference center to check in, and it was all about the Creative Freelancer Conference. We recap the conference and talk about what is in front of us the rest of the week with a variety of guests in today’s show: HOW Conference Speaker Jeni Herberger, Freelance Designer Michael King, Jamie Saunders of Neenah Paper (she also runs their Twitter account @neenahpaper), Jackie Brown of Jax Design, Bryn Mooth of HOW Design, and no show is complete without Steve Gordon. 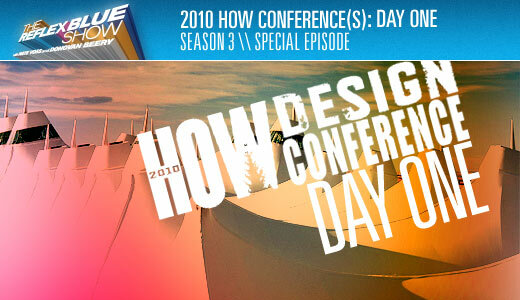 Day two will bring us the closing of the Creative Freelancer Conference, the opening of the In-HOWSE Designer Conference, and the kick-off of the 2010 How Conference. Check back for more updates, or follow us on Twitter (@36point and @vossome) as we spend the week in Denver, Colorado covering the design event of the year. 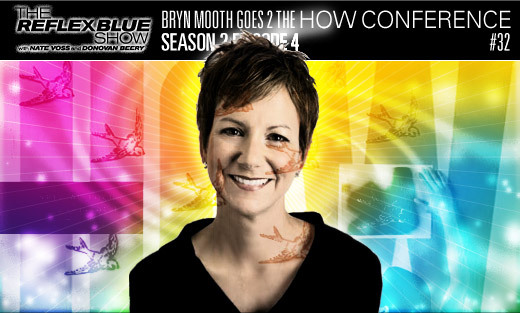 Download The Reflex Blue Show, 2010 HOW Conference Special: DAY ONE or, click here to subscribe to The Reflex Blue Show from the iTunes Music Store.